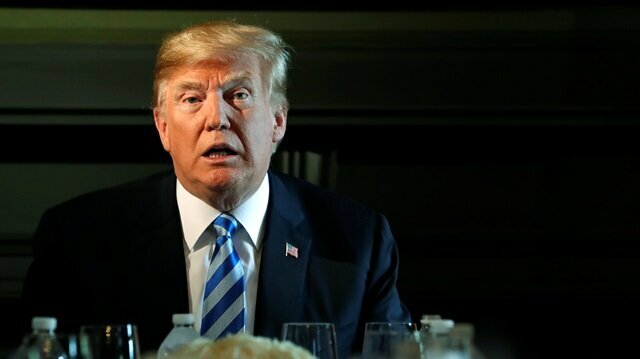 President Donald Trump on Friday ramped up his attack on Turkey in announcing a doubling of steel and aluminum tariffs on the NATO ally. “I have just authorized a doubling of Tariffs on Steel and Aluminum with respect to Turkey as their currency, the Turkish Lira, slides rapidly downward against our very strong Dollar! Aluminum will now be 20% and Steel 50%. Our relations with Turkey are not good at this time!” he wrote in a Twitter post. Trump's post came as Turkish Treasury and Finance Minister Berat Albayrak was unveiling a new economic model. He stated that the central bank's independence was critical for the economy, promising stronger budget discipline and a priority on structural reforms. “Restoring the budget balance and improving its quality is a key principle of the new approach,” said Albayrak, adding that a tight monetary and fiscal policy also established the fundamentality of the model. Trump's announcement came less than an hour after Turkish President Tayyip Erdoğan urged Turks to help defend the country against what he called economic war against the country. Erdoğan appealed to a crowd in the city of Bayburt to exchange dollars and gold for Turkish lira to prop up the currency. Securing the release of evangelical Pastor Brunson, who was arrested in 2016 and faces terrorism charges in Turkey, is a top priority for the United States, and it is also tussling with Turkey over trade issues and differences over Syria.